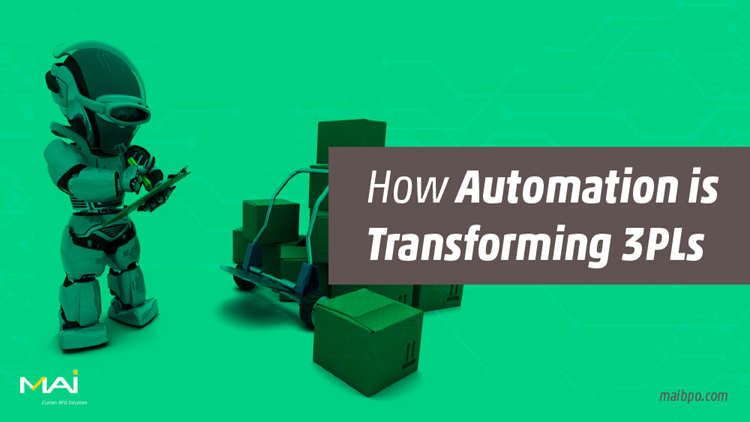 Learn how to resolve your 3PL business challenges with the help of full-scale automation. Flexibility and nimbleness are the cornerstones of success in today’s business climate. That’s especially true for retailers who are constantly looking for ways to rise above the competition. Increasingly, this may involve shipping goods in non-standard packaging, different-from-norm size and weight. However, such flexibility and nimbleness is not always compatible with automation which is also essential for seamless operations in a fast-paced, hyper-competitive world. E-commerce merchants and others in the business of shipping increasingly rely on third-party logistic (3PL) providers to fulfill short-term contracts. 3PL firms find it difficult to justify investments in traditional “bolted-down” technology when the bulk of their business is short-term contracts. However, with new developments in technology, they can take their business to new levels and resolve several of the challenges that inhibit full-scale automation. 3PL companies typically compensate for automation with highly flexible seasonal staffing. However, there is an element of adhocism in doing so and seasonal hiring comes with its own unique challenges. Some 3PL companies have addressed this by hiring low capital-intensive mobile robots that can be easily scaled as the business expands or contracts. Side-by-side, a scalable mobile solution, where users can deliver commands from anywhere, enhances flexibility. Robotic and mobility-driven automation enables 3PLs to add more racks to support different sizes and weights, and enable moving equipment easily from one warehouse to another based on real time demand. Automated inventory software improves efficiency by offering real-time visibility in the supply chain. Expenses can be controlled, resources can be deployed based on need, pain-points can be resolved quickly and more. This results in lower costs which are passed on to the customer. The deeper insights gained through real-time visibility – combined with the deployment of latest mobility and robotic tools – enables enterprises to become more nimble and productive. 3PL vendors who automate their systems become part of the digitally integrated supply chain and typically reap rewards in terms of steady business and smoother operations. Increased collaboration ensures process optimization and faster on-boarding for suppliers which in turn boosts on-time delivery. The ability to rapidly integrate with new customers and on-board new trading partners is the key to accelerating time to revenue. Automated systems improve visibility across channels, paving the way for effective monitoring, enabling quick and easy ways to anticipate and resolve issues such as delayed load, missing status information and more. Accurate insights into granular activities unlock audit trails and facilitate industry and government compliance for the entire gamut of activities, including inventory management, fulfillment, cross docking, warehousing and packaging. Automation of the supply chain is a key requirement for unlocking data and ensuring seamless and complete big data analytics. Access to comprehensive and strategic real-time information facilitates proactive decision-making. Such real-time information requires deep integration with supplier portals. 3PL players who automate their systems stand a better chance of forging sustainable relationships with big clients. For 3PL vendors themselves, rich insights from the ecosystem, delivered through powerful dashboard views, offer the ability to continually operate at peak performance. The historical measurement for satisfactory e-commerce fulfillment was speed. Recently there has been a paradigm shift in this approach, with customization now being equally important. E-commerce companies seeking to differentiate themselves increasingly rely on personalizing the fulfillment experience as a way to create and maintain customer loyalty. The onus is on 3PL vendors to deploy intelligent software systems that enable goods-to-person automation and enable their clients to make fulfillment a differentiating brand experience. Automation delivers 360-degree benefits to 3PLs. It improves not just their internal efficiencies and bottom line, but also becomes a vital enabler to delight the client’s end-customer.